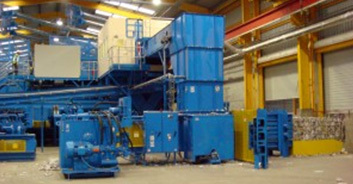 ERS provides an array of new and used balers fitted for all types of usage in the recycling industry. 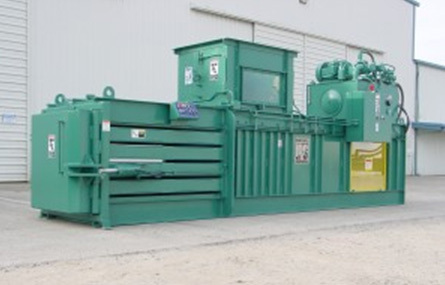 Each baler has a unique application for baling different materials, with various speeds and efficiencies. 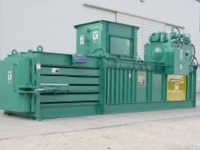 Environmental Recycling Services will help you select which baler best suits your needs. 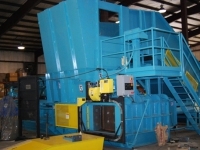 The Two Ram Baler is used for large capacity recycling and can handle several materials. 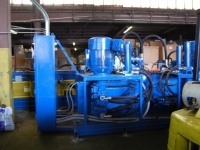 It is capable of baling fibers, plastics and metals. Additionally, the Two Ram Baler has an automatic strapper that can throw unlimited ties, rather than the limited 5 with the Auto-Tie Horizontal Balers. 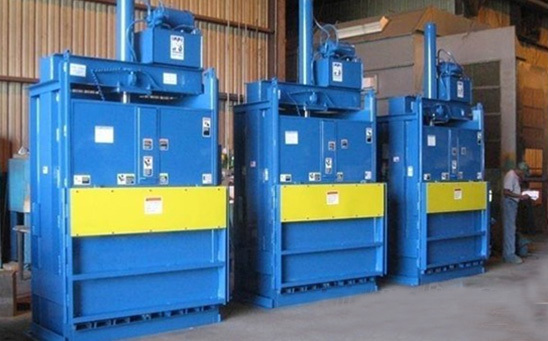 Horizontal balers are designed specifically for high volumes and, like our verticals, will bale cardboard, paper, plastics, aluminum and non-ferrous metals. 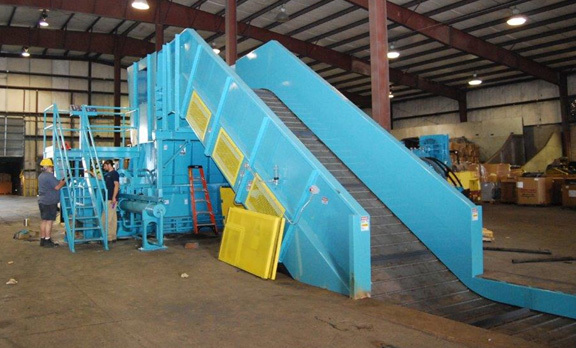 Depending on your needs, we can provide a number of options such as the Two Ram Balers or Auto-Tie Balers (with conveyors.) 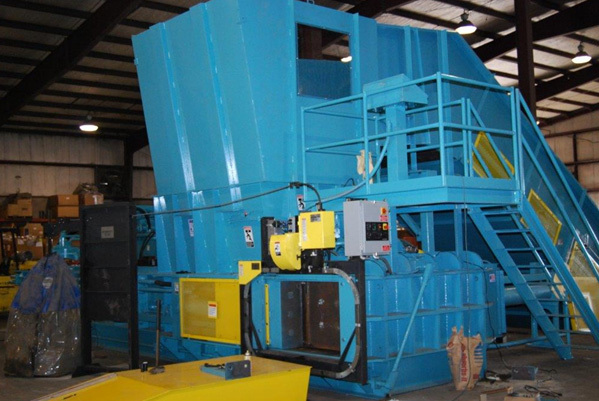 The Auto-Tie Horizontal Baler automatically ties material at the end of each bale affording an extremely efficient process for high-volume baling needs. 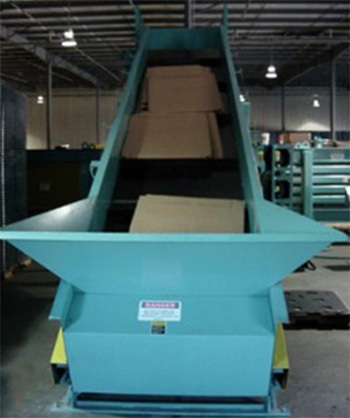 The Auto-Tie Horizontal Baler is ideal for corrugated cardboard (OCC), document destruction, high paper grades, etc. 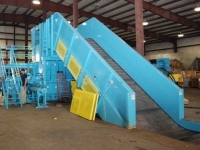 Manual-Tie Balers also process material through a horizontal press but the bales are manually tied. 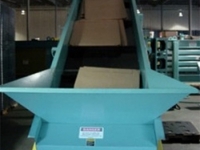 Material can be loaded by hand or deposited into the baler by a conveyor. 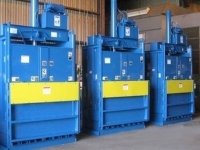 At ERS we specialize in new and used vertical (downstroke) balers. 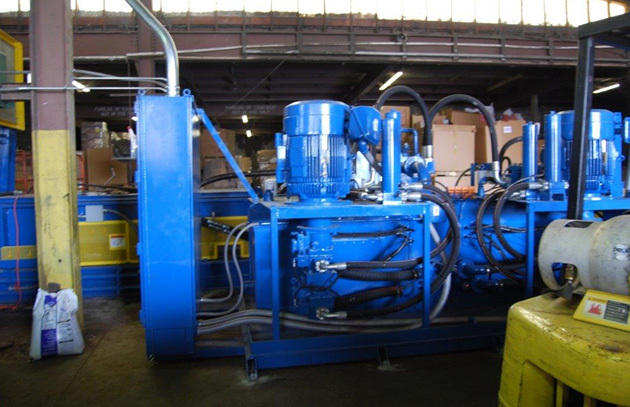 This equipment is great for baling cardboard, paper, plastics, aluminum and all other non-ferrous metals. 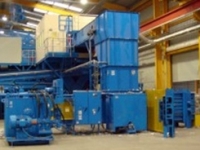 Vertical balers are well suited for small to medium volumes of recyclable material. Typical clients would be retail stores, grocery stores and small warehouses. 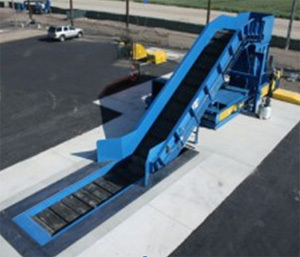 Environmental Resources offers new and used conveyors of different types, such as heavy duty belt conveyors for rugged material or basic conveyors to feed smaller tonnages. ERS technicians will offer assistance in guiding you to the correct Conveyor to suit your needs. The Slider Bed Conveyor is a basic conveyor and comes in different varieties and sizes. 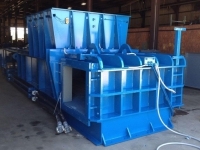 It is used for small tonnage to load a Horizontal Baler or a small Two-Ram Baler. There are no pulleys or hinges on a Slider Bed Conveyor, allowing for the least amount of wear. Most of these conveyors are above ground units with a loading hopper at the bottom. 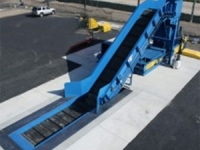 The Combo-Belt Conveyor is used when higher throughput is necessary. It has a rubber belt and each end of the belt has self-lubricating steel rollers which allows for longevity. This belt handles greater weights to be on the belt at once providing a steady stream of material for maximum throughput. It can be mounted above or in-ground for a push floor style loading. 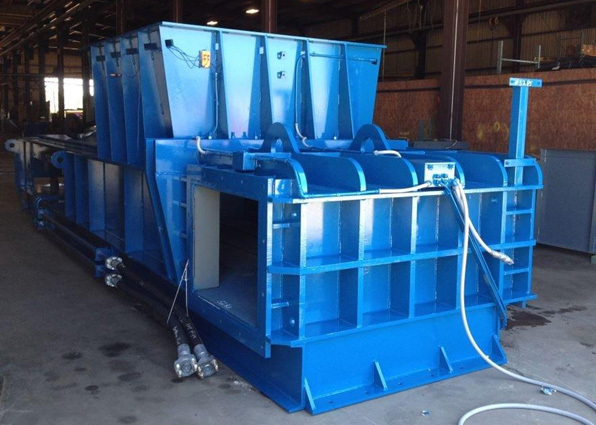 These conveyors are used with large Horizontal Balers and all varieties of Two-Ram Balers. Steel Belt Conveyors are heavy-duty conveyors and hold the maximum amount of weighted material in the market. These units have steel rollers, steel hinges, and a steel belt. Steel Belt Conveyors are used in high throughput applications or environments that are very harsh, for example (MSW Baling, Non-Ferrous & Ferrous Baling, C & D processing, and outdoor environments for processing). The Steel Belt Conveyor is used on large Horizontal Balers and Two-Ram Balers and can be mounted above-ground or below ground.